The first change is in the name. Previously called the Academic Success Center, the focus is growing to encompass more than just tutoring for academic concerns. SARC is designed to help students find the resources necessary to navigate all aspects of college – from course selection to finances to time management – and of course academic tutoring. Many students begin college wide-eyed and perhaps somewhat naïve about different options and often struggle to find accurate, relevant information, according to Estrella. Rather than starting their higher education on a solid foundation, some students fly by the seat of their pants virtually their entire first year. Estrella hopes to illuminate possibilities and opportunities so that the student experience is constructive and positive. “This gives them one place to go rather than seeking information from a variety of sources,” Estrella said. Estrella hopes to conduct at least one student workshop per week to advise students on subjects like test anxiety, financial aid applications, critical research and writing skills, and stress management. The workshops will also help students make informed decisions regarding course and program choice so they have a solid idea of what they are looking for when they approach an admissions counselor. “If they feel the need for something that’s not happening, I want them to be comfortable coming to me and telling me what they need,” Estrella said. He is already planning workshops where faculty can learn inclusive teaching strategies so they can help everybody. Estrella took over at SARC in June. He has been with DC3 full-time since 2016 as a Spanish language instructor, previously serving in adjunct capacity for two years. He was also an ESL instructor for USD 443 for 10 years. 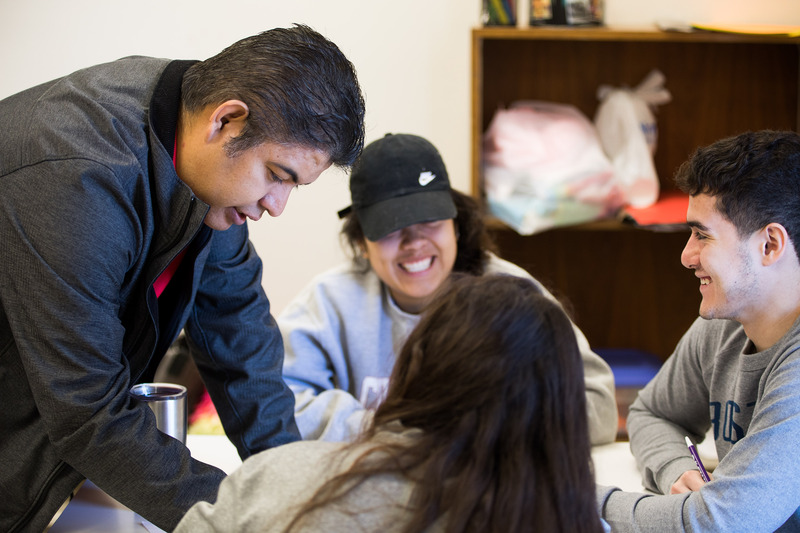 In addition to overseeing SARC, Estrella will continue to teach ESL for the college at the Adult Learning Center with a focus on students who want to move beyond basic language skills and continue their higher education. He will work closely with nine high schools in our area as well as the ALC to develop distinct pathways for students to enter college successfully.